Happy Presidents' Day! Here's a last-minute recipe you might try! 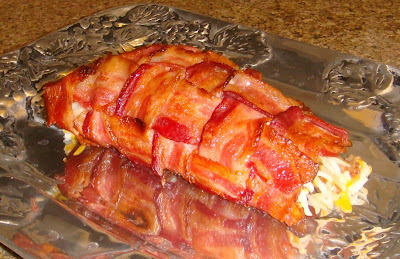 Because Abraham Lincoln grew up in a log cabin, you could celebrate Presidents' Day with a log of bacon. My husband created this concoction for a breakfast for us a few years ago. 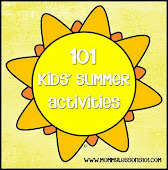 It isn't very healthy but it is delicious and fun! 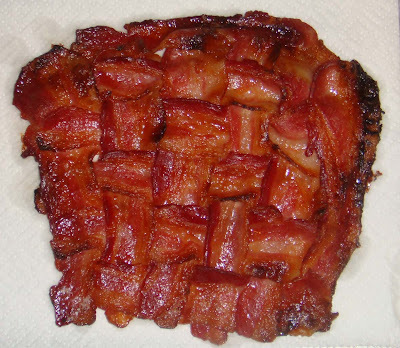 Weave bacon on cookie sheet and cook in oven. Cook sausage and hash browns separately. 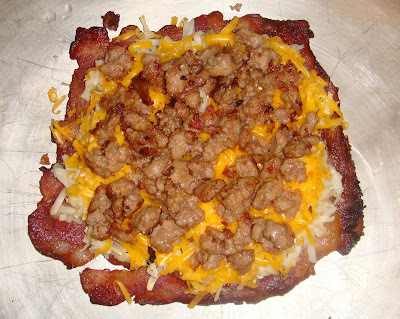 Layer hash browns, cheese and sausage on top of bacon weave. Roll up and sprinkle with brown sugar. Serve with syrup. For more of our Presidents' Day ideas, check out my President's Day Blog Post here, or my Presidents' Day Pinterest Board.